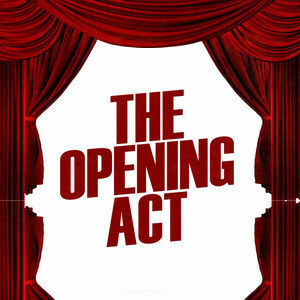 THE OPENING ACT: Performance Opportunity Class! Welcome to THE OPENING ACT! Ages 8 and up. Miss Holly is calling on all singers, dancers, musicians, and those with hidden talents! Cast members who enroll for this performance based class will be the first act for this season’s Brite Star’s production! This is a class focused on individual performance technique with solos, duets, trios and specialty acts – as well as ensemble numbers all culminating in a performance to open every Brite Star Show. The show will be written and customized according to the individuals in the cast. Over the course of 14 rehearsals we will focus on each student’s special spark! Every cast member will have a featured solo, as well as learn the importance of working together to put on a show! This is truly a class with a focus on building confidence on stage! If you are ready to take it to the SPOTLIGHT – alone – or in a small group – then this is the class for you! Come to the first rehearsal prepared to perform your one-minute talent selection! You are welcome to bring your own tracks or instrument. No accompanist will be provided. We would also love to feature MTA’s siblings – together on one stage! Rehearsals begin March 11, 2019, and run Mondays from 4:00pm-5:30pm. Parent meeting 3/11 from 4:00pm – 4:30pm. Please be advised that rehearsal attendance is mandatory as class meets only once a week and we will be customizing the production to this cast. Members of any MTA cast are welcome to enroll for this performance opportunity too! Due to the nature of the individual performances, we will limit the class to 20 students. Please do not wait to enroll, this class fills up quick!